The Project at 124 East 14th Street is a critical component of Mayor de Blasio’s plan to create 100,000 jobs over the next ten years by growing the tech and innovation sectors and equipping New Yorkers with the skills they need to access jobs in the modern economy. Anchored by Civic Hall, this first of its kind project will propel growth and accessibility in New York City’s tech industry by integrating a Digital Skills Training Center to connect diverse populations to 21st century skills with modern workspace to serve growing companies. This project will expand opportunity for local residents and New Yorkers across the city by creating an ecosystem for 21st century training and job opportunities under the same roof. HOW MUCH CITY FUNDING IS COMMITTED TO THIS PROJECT? All funding for this project is private. The Developer is not receiving any tax abatements. AT THIS DEVELOPMENT ARE MADE AVAILABLE TO ALL NEW YORKERS? Three floors of the building will house a workforce academy operated by Civic Hall. An experienced mix of private and nonprofit providers will offer classes that are open to all New Yorkers at affordable rates. The space will be permanently affordable for the training providers, as required by the ground lease. Courses range from one day to three months. Some of the programs also offer job placement in the technology industry for students that complete their programs. Topics covered include network engineering, web development, data analytics, cyber security, and IT support, among others. Affordable training will also be available to New Yorkers previously underrepresented and most of the programs are offered for free of charge. All private providers must offer scholarships to at least 20% of students covering half of the costs of tuition in exchange for renting discounted space in the building. Regardless of income, physical or legal barriers, New Yorkers will have access to the job training skills required in a 21st century economy at the new Center. What kind of jobs and companies will be at the development? The project is intended to create an ecosystem of growing and established tech companies who can expand and hire within the building. The primary tenants will likely be tech companies across an array of sectors – design, education, media, advertising etc. – sharing space and collaborating in a dynamic, wired environment. Flexible office space is intended for emerging and maturing start-ups who have outgrown co-working space but are not yet ready (or do not qualify) for traditional leasing. 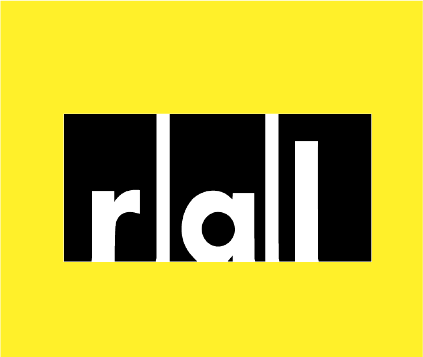 WHAT IS RAL’S RECORD ON MEETING ITS MWBE COMMITMENTS? RAL and Suffolk Construction have a proven track record of including Minority and Women owned business enterprises. In the past three years the companies have awarded over $200 million and more than 150 projects to M/WBE subcontractors and suppliers. For the 14th Street project, RAL has committed to a M/WBE participation goal of 35% for the construction of the building and all bid specifications for the hard cost items will include mandatory MBE/WBE utilization plans. WHAT KIND OF COMPANIES WILL LEASE THE STEP-UP OFFICE SPACE? Prime tenants for the step-up office space are relatively young companies that have recently turned a profit or have received seed funding but are not yet ready to invest substantial capital in long term leases along with the overhead that is associated with traditional NYC office space. These offices are geared towards companies that have graduated from organizations like Civic Hall or from traditional co-working spaces. The spaces will be designed to accommodate companies with an average size of 5-15 employees and will include fully furnished private offices for each company with shared amenities, staff, and support services including lobby, waiting areas, support staff, conference rooms, kitchens, and lounge areas etc. In order to allow these companies to maintain flexibility while also providing them with the opportunity to grow, the lease terms will be no greater than 5 years. And to prevent these offices turning into just another co-working space, the leases will also be no shorter than 6 months. HOW IS THE EVENT SPACE ACCESSIBLE TO THE BROADER COMMUNITY? Civic Hall will have one full floor of event space in the building. The Lease requires Civic Hall to make the event space available to non-profit and community groups for discounted rates a minimum of 32 times a year. WHAT KIND OF EVENTS DOES CIVIC HALL HOST? The event space will be used for a variety of events including community focused events, app launches, hackathons, networking events, government events etc. Civic Hall has held over 500 events over the past 3 years, many of which have been deeply discounted. Event space will be made available at low or no cost to non-profits and the local community a minimum of 32 times per year. HOW WILL THE COMMUNITY ACCESS THE DISCOUNTED EVENT SPACE? WHAT WILL THE RATES BE? Community groups will be given a first come first access to the space as per the required amount of events in the city agreement. Depending on financial ability the space will be provided for free or at cost for staff, security, and cleanup but not for space usage. Civic Hall already provides space at a reduced rate for about 25% of all events. WHAT KIND OF TRAINING WILL BE OFFERED TO STUDENTS OF THE DIGITAL SKILLS TRAINING CENTER? The digital skills training center will include shared classroom & education spaces for both non-profit and for profit technology training organizations. The space will be leased to Civic Hall and licensed to training organizations. The space will also be permanently discounted to allow for a diverse variety of technology classes focused on in-demand skills that employers are seeking. Scholarships will be made available to the local community and surrounding areas. WHICH ORGANIZATIONS ARE PARTNERING WITH CIVIC HALL? Per Scholas, Fedcap, Mouse, CSNYC, CUNY, Help USA, General Assembly, and others. WHAT WILL THE TUITION BE FOR THE COURSES? WILL SCHOLARSHIPS BE PROVIDED? WHO WILL BE ELIGIBLE FOR REDUCED TUITION? Civic Hall provides numerous organizations free membership in Civic Hall itself. Tuition for the training programs cannot be determined at this time because the courses themselves may be completely different in three years. However, each of the partner organizations already provide a significant percentage of their students full or significant partial scholarships and will continue to do so at the new facility. All but one of the training organizations involved in the project are directly focused on serving underserved communities. For-profit training providers, like General Assembly, must provide subsidies or scholarships for 20% of students equal to 50% or more of tuition costs. Contact us via the form above.